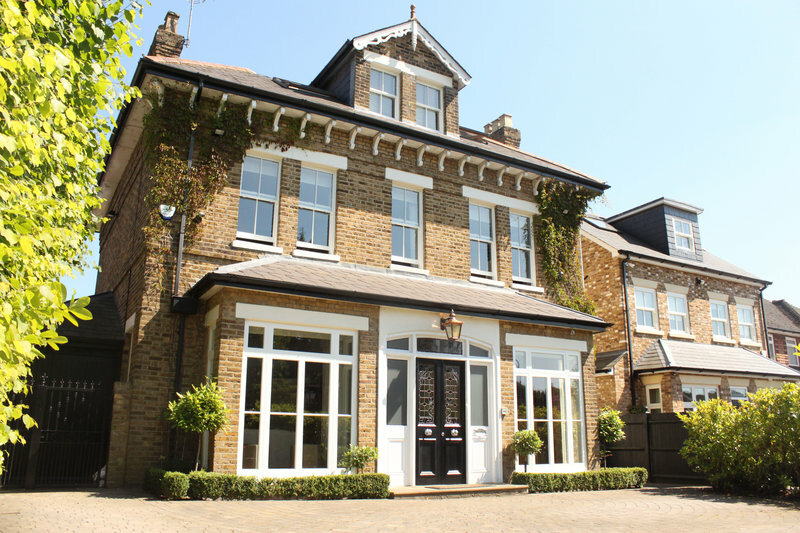 Core Sash Windows is a London-based double-glazing company specialising in the replacement and repair of traditional timber-framed windows and doors. We understand that replacement windows and doors are an important investment, and you obviously want to make the correct choice. Our surveys are always performed by experienced carpenters instead of designated sales-people - there's no unnecessary up-selling and no high-pressure tactics. Our FENSA-registered installation service also includes the hand painting of your new products, traditional sand-and-cement pointing joints, and the repair of any damaged plaster. And our traditionally designed windows and doors come with a 10 Year Insurance-Backed Guarantee. Still warm feelings after three years. We were having major house renovation works and started off with the windows. All the windows except the sitting room were renewed. The sitting room has the old, interior, wooden shutters and couldn't be replaced with the double glazed units if those were still to work, so these windows were successfully renovated. It was a very happy relationship with Core from start to finish and three years later we are still completely satisfied and happy. The house is warmer and, above all, much quieter. The new sash windows work beautifully. We strongly recommend them. We have had a terrible experience with Core Sash Windows: they haven't been able to meet the schedule we agreed when placing the order, after weeks we still haven't received the windows we ordered and they keep installing parts that are just temporary solutions. On top of this, no clear communication whatsoever and we are still struggling to get answers and solutions. We strongly advise against using them! Hi Alessandra, We understand your frustration and we are very sorry that our efforts to expedite the delivery of your new sashes to receive them in 4 weeks (rather than the standard 8 weeks at this time of year) was unsuccessful. Regrettably, despite the factory operating 2 shifts and working 24/7 in this the busiest time of year, the delivery was delayed which put us and you under time pressure. The delays stemmed from the production of the glass units, so I opted to have the finished sash frames delivered un-glazed and had an extra 10 double glazed units manufactured locally. These were fit in the sash frames so you would have natural light and we replaced them when the correct units were delivered. My thinking was that this option would enable us to fit the windows and finish all interior work by your move-in date of 23/07/18. Trying every available option to avoid an impact on you moving in, was, we felt the right choice when the alternative was to start work a week later on Friday 27/07/18 (by which time all windows had been installed). 1 top sash upstairs is waiting for a glazing unit to be swapped and 2 timber corner pieces to be fitted. Everything else was finished on 01/08/18. My communication in the beginning while I was in constant contact with the factory to find solutions, could have been faster while I was waiting for a confirmed (rather than giving you an estimated) delivery date, I hold my hands up that this should have been communicated to you quicker. 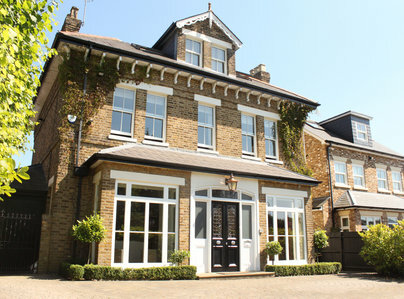 The Core Sash Windows team supplied and fitted two bay windows to our victorian house. Plus casement windows to our loft extension. Last year we had quotes for PVC sash windows and decided wood would be preferable. Core Sash Windows quote was very competitive in comparison. All members of the team were very professional. The fitters and decorators made every effort to minimise disruption to our household. Covering every piece of furniture during the works and thoroughly cleaning up before leaving each day. Everything was sound and secure at the end of each day. 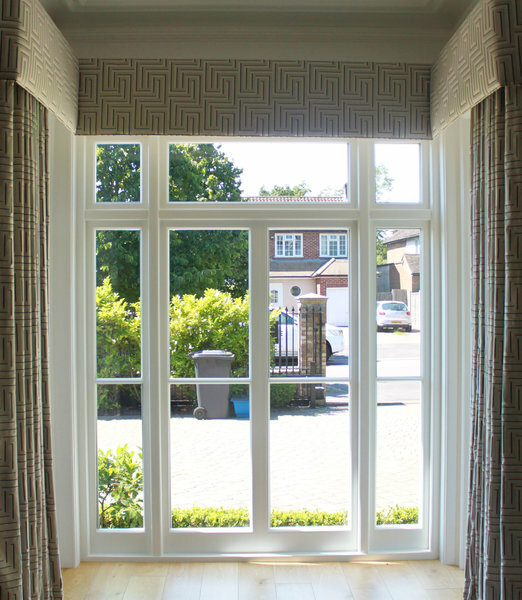 We're very happy with the quality and value of the finished product and are very happy to recommend Core Sash windows. Great job on installing windows and door - very efficient all round & making the new kitchen/bathroom look really light, the existing repaired ones feel a lot better insulated too. Good standard of workmanship and truly effective and attractive product. My windows were big & draughty, now they are light & stylish and I'm cosy and warm! The workmanship on a not so simple couple of sash windows is remarkable. the quality of the finished and installed product is excellent. Our windows and door are fantastic, exactly what we wanted. Everybody that we dealt with was excellent -professional, kind and helpful. Core sash windows did a great service and I would definitely recommend them. The quality of the windows and door is really second to none. The windows are great, the installation team delivered as agreed, they covered the rooms well to protect from dust and cleaned up after themselves well. The decoration after the windows were installed was of high quality too and it was great to see that there was a team visiting daily during the installation process to check on the work and answer any concerns we had. In particular, Mario was great from when he first came to take final measurements to the end when he made sure our roman blinds were back up properly. We used another company before finding Core Sash Windows and had 1 window and 1 door replaced. Their installation was poor leaving cracks on the outside and they did not restore the inside to the original state. They were also quite a bit more expensive. I'm sorry I didn't find Core Sash Windows earlier, it was such a more pleasant experience. Thank you! Excellent workmanship, nice windows, courteous workers, cleaned up thoroughly. This was done very recently so I can't comment on longevity but the windows look and feel great. I could have used a more detailed description of the windows: I wasn't told about certain details - e.g would I want 'security' knobs, why I wasn't I getting decorative 'horns' on inside? But on the whole really good service ~Many thanks though for a lovely job.